Where is that cave located? I don't think I've ever heard of it before. Soooo... are you taking the photo while jumping, or getting someone to take a photo of you while you're jumping? 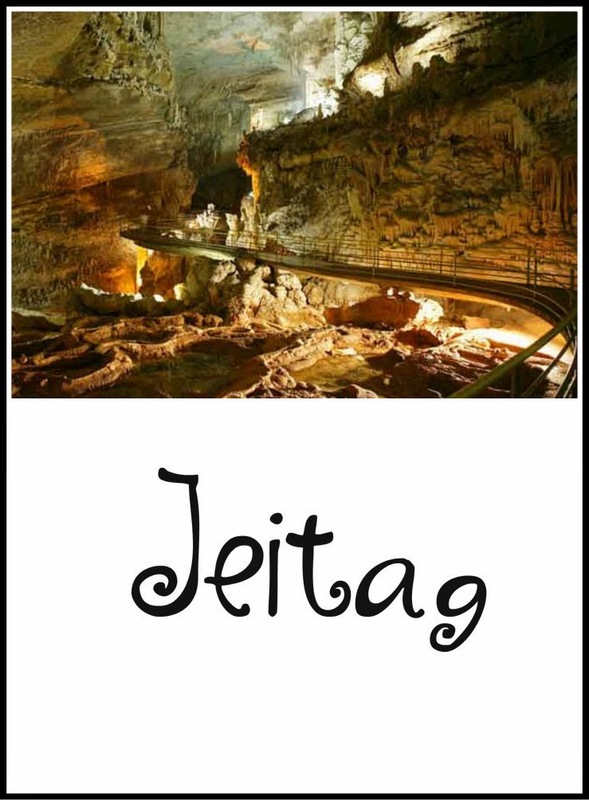 Hi Suzanne ... thank goodness for blogging friends .. the idea of the Jeita Grotto sounds fascinating .. though just at the moment it's not on my list to visit .. yet, Lebanon I'd love to see .. Interesting. I wrote about Japan today, too.. Thank you for this post. Not many words but it made me wonder where the tunnel of light is in Japan. Love this idea of making a bucket list with things from every letter in the alphabet! Love your "J" items! Especially the journal prompt jar. That's something I want to do too. Would you believe I have a 10,000 piece puzzle of the Twin Towers? I have started it several times to find the same pieces can fit together throughout the puzzle. It was a BIG disappointment! Japan is on my list and the journal prompt jar well they are so awesome, I love my journal prompts! !